Author: Anthony B. Wolbarst, William R. Hendee, et al. Just Released!!! 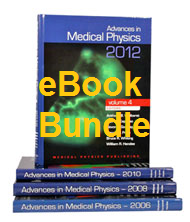 Purchase the previous 4 books in the series Advances in Medical Physics for $150.00 off retail.